George Campbell enrolled at the University in 1844 to study an Arts course. He was born on 27 April 1829, and was the great-grandson of Sir Ilay Campbell, 1st Baronet, alumnus and Rector of the University from 1797 to 1801. He succeeded to the baronetcy on the death of his brother Sir Archibald Ilay Campbell, 3rd Baronet of Succoth, in 1866. 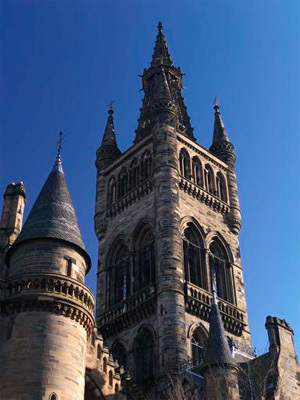 Campbell was educated at Eton before enrolling at the University of Glasgow in 1844. He served with the First Royal Dragoons from 1841 until 1857, rising to the rank of Captain. He died at Malta on 17 February 1874.